If you have clear skies and a pair of large binoculars on December 31, 2016 you get to end the year with one of the more beautiful occurrences in the night sky; a planetary conjunction. This conjunction will show off the red and blue pairing of Mars and Neptune after sunset in the southwest just a bit above the beautiful and bright Venus. Just find Venus, then find the red Mars, point your scope and the two should be readily visible. Their contrast should be striking and a real pleasure to view. The actual conjunction occurs on Sunday, January 1, 2017 at 06:32 UTC (01:32 EST) but because of that, many places won’t see it because they will have already set. The show should start just after sunset in Europe when the pair will be about 22’ (arcminutes) apart. By the time nightfall reaches the East Coast of the U.S. the two will have grown closer as only 15’ will separate the two. By the time observers in Hawaii catch a glimpse on January 1st, they will only be about 1’ apart and that’s pretty special so make plans to have a look. Something really awe inspiring about appulses and conjunctions is the perspective gained as you see two or more planetary bodies in close proximity. 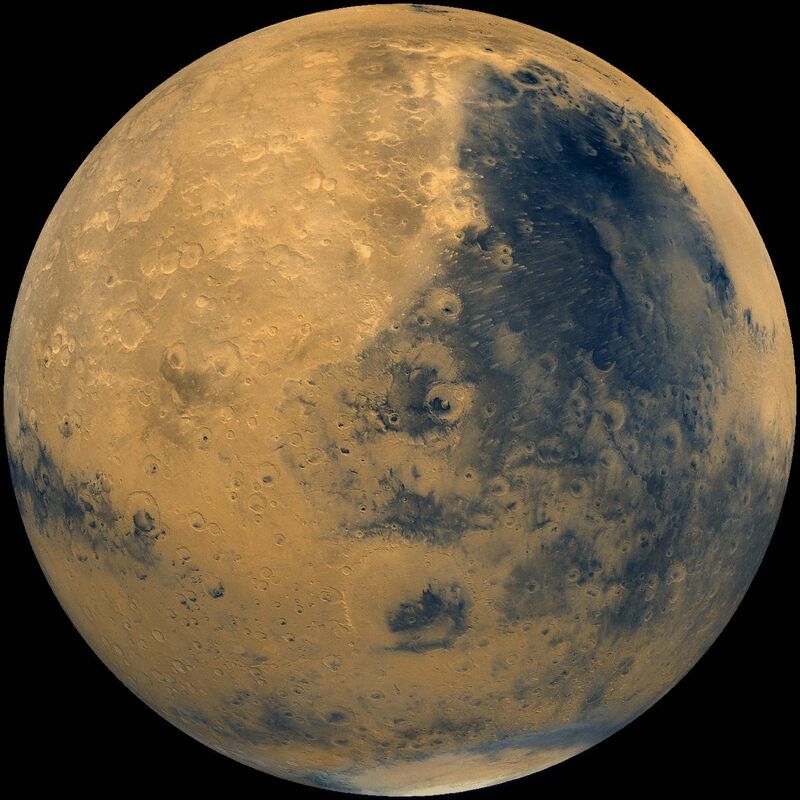 Mars is about 4,200 miles (6,778 km) in diameter which is just more than half that of Earth and it will be about 150 million mi. (241 million km) from Earth. 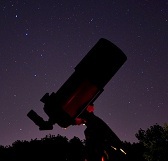 On the sky it will be shining at an apparent magnitude of 0.5 with an angular size of 5.7” (arcseconds). 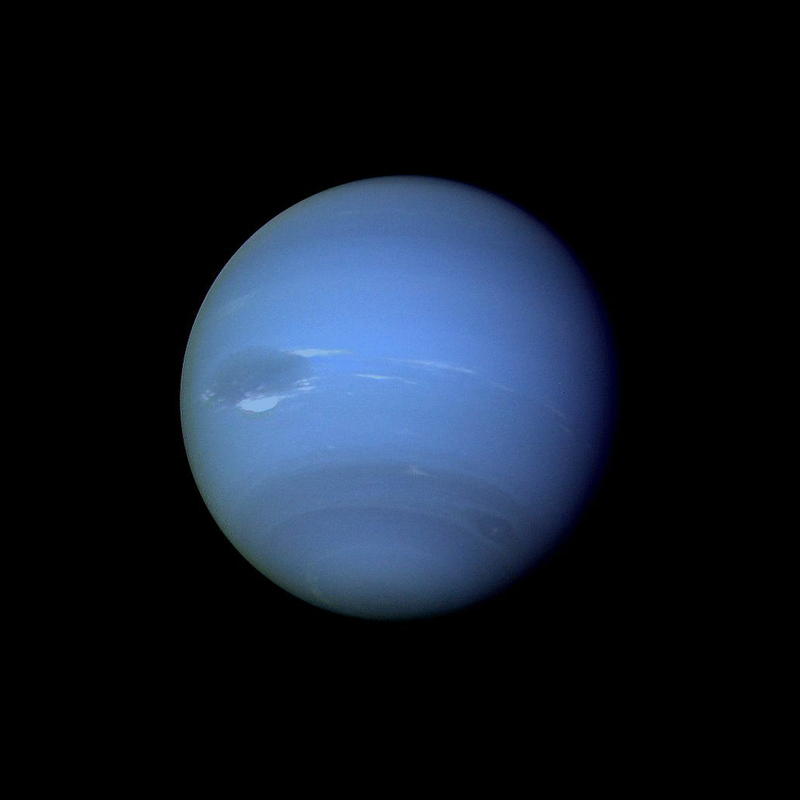 Neptune is 30,600 mi. (49,244 km) in diameter and will be more than 2 billion, 675 million miles from Earth. On the sky it will be shining at an apparent magnitude of 7.9 which is well out of range of unaided view with an angular size of 2.2” (arcseconds) which isn’t even half the size of Mars angular size. If you’ve got a scope of decent aperture (8” or larger) have a go at Neptune’s moon, Triton which will be an apparent magnitude of about 14. Even though these two wanderers will be close on the night sky, more than 2.8 billion miles will separate them in reality. Image | This entry was posted in Astronomical Events, Astronomy (Learning), Images, News, Solar System and tagged Astronomy, Astrophotography, Conjunction, DanSpace77, Mars, NASA, Neptune, Science, Space. Bookmark the permalink.